Finding products that are all-natural or organic has become increasingly popular, and mattresses are no exception. There have been some really good mattresses that fit into the organic category that have come into the market over the past couple of years. I’ll go over a few of them that I like and explain why you might like them too. 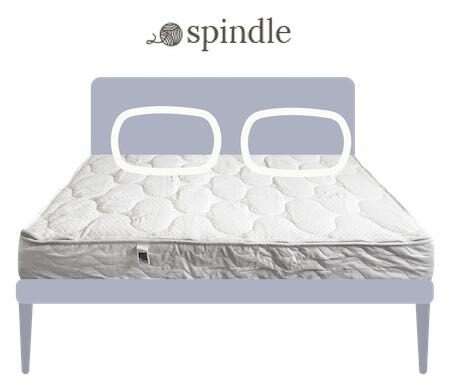 The Spindle mattress is a unique and pretty cool concept. When you buy the mattress, you will receive three separate three inch layers of natural dunlop latex (see more). You can actually rearrange the three layers to change the firmness level of the mattress. This type of customization maximizes the chances that you will find a firmness level that you like. The latex used in the mattress is all-natural. The cover is quilted with natural wool batting and organic cotton. When you add all the components together, you’ll find yourself with a truly organic mattress. The mattress is highly durable, so it should be a good long-term investment as well. The mattress is $1,349.99 for a Queen. That is a very reasonable price for a natural latex mattress. Zenhaven is also an all-natural latex mattress. It uses talalay latex instead of dunlop latex. What’s unique about this mattress is that it is flippable, meaning it has two firmness levels in one (see more on that HERE). This helps maximize your chances of getting the right firmness level. The materials used in this mattress make it as close to organic as you can get. It is also a very durable mattress, so it should be a great long-term investment. A Queen is $1,899. That is a very reasonable price for an all-natural talalay latex mattress. Given how long the mattress should last, it’s a great value. Avocado combines natural latex as a comfort layer with a pocketed spring support system. You also have the option of adding a latex pillow top to make the bed a little softer. It has great support and has very durable materials (it’s great for heavy people). It will definitely last a very long time (see more HERE). A Queen is $1,399 without the pillow top and $1,699 with the pillow top. For a mattress of this caliber, it’s definitely a great price. Not All Latex Is Natural– Some people assume that because a mattress has latex in it, it is automatically natural. Most of the time, however, the latex is actually synthetic, so it isn’t natural at all. You want to make sure that the latex in the mattress you are looking at is natural and not synthetic. You Have To Pay More For Natural– Sourcing natural latex is very expensive. That’s why so many synthetic latex mattresses exist. It’s just a fact of life that if you want to get a mattress that is actually organic, you are going to have to pay a good amount for it. Plant-Based Doesn’t Mean All-Natural– If you see a company uses plant-based foams, that means they have only replaced a portion of the petroleum-based foams with bio-based foams. It won’t be all-natural. There have been some great organic mattresses that have come out in the past couple of years, and they rank well amongst the best mattresses overall. The prices are reasonable and they should last a long time, so the value you can get is pretty high. Your website has been great information! Have you checked out the Essentia natural latex based memory foam mattress? It seems to be getting rave reviews but also very expensive. 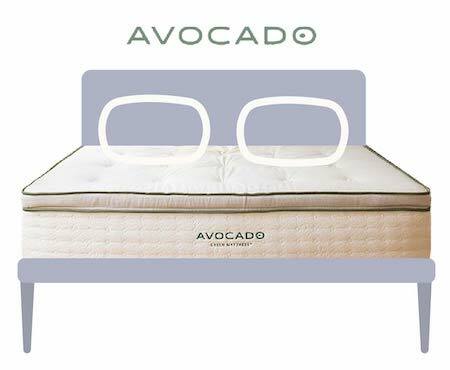 So curious how it would rank on your organic mattress list. I don’t think it’s actually organic actually. thanks for the comparison. Have you heard or tried out the beds by Swiss Dream Beds? 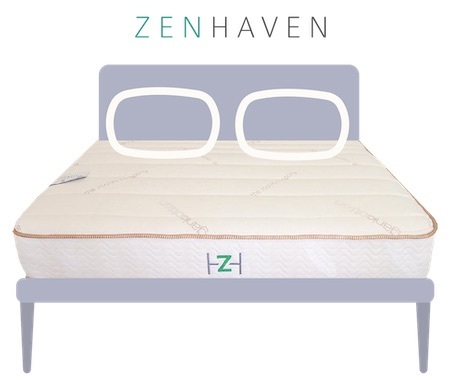 It appear that they have a similar mattress to Zenhaven – but they offer a proper base with it as well.